Leadership begins with oneself. Before we attempt to lead others we must be control of our own lives by knowing our own strengths, weaknesses and be a model of correct behavior and character. John Maxwell in his book “Today Matters” wrote the following reminders which when read and practiced daily will help us focus on knowing ourselves. Just for today… I will choose and display the right attitudes. Just for today… I will know and follow healthy guidelines. Just for today…I will communicate with and care for my family. Just for today… I will practice and develop good thinking. Just for today… I will make and keep proper commitments. Just for today… I will earn and properly manage finances. Just for today… I will deepen and live out my faith. Just for today… I will initiate and invest in solid relationships. Just for today… I will plan for and model generosity. Just for today… I will embrace and practice good values. Just for today… I will seek and experience improvements. Just for today… I will act on these decisions and practice these disciplines. And, then one day… I will see the compounding results of a day well lived. 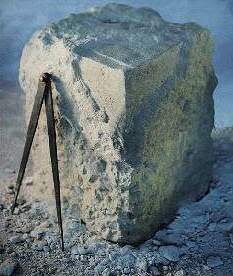 As Masons we are taught to take our rough ashlar selves and mold them into perfect ashlars. Reading Dr. Maxwell’s “Just for Today” everyday will help us do that.